Benoit Mbala Mendzana dominated Philippine collegiate basketball with such consistency that people often wondered how he would perform against bigger, more experienced competition. Quite well, it turns out. In September, Big Ben averaged 21.8 ppg on .483 fg% and an even more impressive 9.3 rpg as the main man for a relatively raw Cameroonian club, good for second tournament-wide in both categories mentioned. Mbala also ranked Top 5 in steals (2.0 spg)—the only forward to do so. 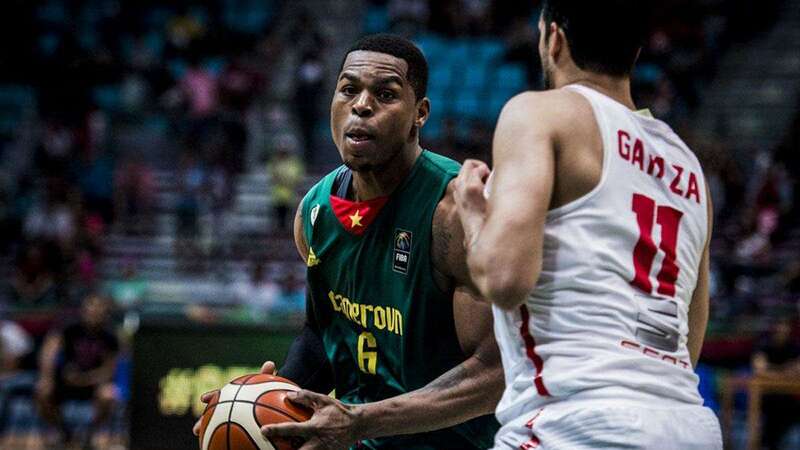 In his game against Nigeria, Mbala went toe-to-toe with tournament MVP and former NBA Top 10 pick Ike Diogu (ranked first in ppg), netting 32 points and 10 rebounds against Diogu’s 28 and 9. Despite Diogu’s experience, Mbala showcased his strength, offensive polish, and athleticism in a valiant but losing effort. It turns out, Ben Mbala can still do in the world stage what he has been doing in the Philippines for the past six years. Back in 2012, Mbala rose from obscurity and led the Southwesten University Cobras to a coveted CESAFI title, quickly becoming the most talked-about prospect outside Metro Manila. Mbala eventually committed to De La Salle University’s college program but had abided by the UAAP’s two-year residency rule for foreign students. Seemingly ready for his UAAP debut in 2015, Mbala was slapped with a year-long suspension due to his participation in a commercial basketball league. The drama would be short-lived, however, as Mbala would finally debut in UAAP Season 79. Averaging 20 ppg, 16 rpg, and 2.4 bpg, he led the Archers to a 16-1 record and the championship. Mbala was named league MVP that year. Fast forward to last month. Mbala would end his college tenure averaging 26 ppg, 13 rpg, and 2.5 bpg, losing to a well-oiled Ateneo team amidst his second MVP season. Thursday’s announcement concerning Ben Mbala’s future wasn’t at all surprising. Looking at his career, it is clear Mbala was meant for something greater. He leaves the UAAP quite arguably as the most impressive college player the country has seen by far. But his exit leaves several angry fans arguing that Mbala may have been a victim of the UAAP board’s mercurial and self-serving machinations. Should the UAAP cement their “seven years out of high school” rule (which was temporarily parked in Season 79 and 80 due to K12 calendar issues), Ben Mbala would be declared ineligible for Season 81. According to the Inquirer, Mbala graduated in 2011; adding the extra two years of residency, one year of suspension, and two years of UAAP experience would spell the seven-year maximum allowable for any UAAP player. 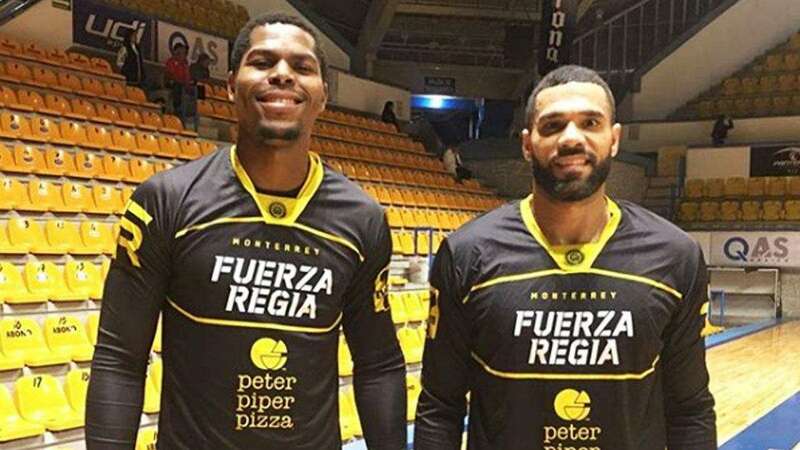 Mbala apparently could not wait for the decision to come out, choosing instead to jump directly to the pro leagues by joining Mexican club Fuerza Regia de Monterrey in the LNBP even before the UAAP could make the rule official. In his first game, Mbala notched 9 pts and 5 reb in 13 minutes of play. Even if the seven-year rule did not apply, can colleges even morally defend having to hold their talent back seven years before reaching the pros? In the US version of the NCAA, the one-and-done rule is more accepted simply because pure talents can easily gain multi-million dollar deals on a single stat-stuffed year in the NCAA—in short, these players would probably earn more in the NBA than in any other career. The same cannot be said here in the Philippines, where only the top picks get multi-year, seven-figure deals in the PBA. The rest would need to fight for their minutes, or worse, get unceremoniously cut by their mother teams (see: Chris Ellis, Carlo Lastimosa). This is why players usually stay and make a name for themselves within the college system, and not immediately jump to an uncertain future in the PBA. For local players, there is certainly some incentive for staying in school longer (added publicity, for one). Kiefer Ravena, the No.2 pick in this year's PBA Draft, scored an alleged three-year P8.5 multi-million deal with NLEX after five productive years in Ateneo. Raymar Jose, the third overall pick, only got a one-year max deal with Blackwater Elite. But for imports, their motivation is less clear. There is no clear path to the PBA, after all, thus, no apparent incentive to stay in the Philippine collegiate system longer than a standard college tenure. At 22, Ben would still be an interesting G-League prospect for the NBA even after seven years of Philippine experience, but he could arguably have been a better one if he went straight to the bigger US leagues at the age of 17. We’re clearly missing out on something if imports allow themselves to practically be kept hostage in the UAAP—a league that moves hundreds of millions of pesos a year running on unpaid, amateur talent. For imports, it's either they appreciate the level of education enough to stay longer, or are being incentivized in some other way to do so. “The Dean” Quinito Henson recently lamented Mbala’s sudden exit by indirectly insinuating that the UAAP manipulated the rules to box him out of his productive years—and yet in the same backhanded Instagram post, he also declared that after five years of college education and a total of seven years outside high school, Mbala still had over 60 academic units left to fulfill. 60 units. How long exactly did La Salle plan on making Mbala study? Player development is at the heart of the import debate. On one hand, supporters argue that imports raise the level of competition in the UAAP (and, by gosh, Ben Mbala did just that with dominating aplomb), but others say that relying on imports removes opportunities for aspiring local centers and forwards. If La Salle relied too much on Ben Mbala, it could stunt the development of intriguing and promising prospects like Santi Santillan (6’4”) and Justine Baltazar (6’7”). A 2 ppg and 3 rpg career statline would look underwhelming for any PBA scout. The same could be said for the level of education (and yes, that’s important too): Hiring two imports to reinforce a team every year may be denying two Filipinos top college education. And then there’s the money. The gray market. The so-called undeclared perks and benefits. In the spirit of Philippine basketball, there is no way around these casual accusations of “deal sweeteners”—and, like it or not, the “pera pera lang yan” mercenary culture does exist, if not in form then at least by function. Schools simply do whatever it takes to maximize their chances of winning championships, and imports are a means to that end. If such a monetized model exists in the fringes of collegiate basketball, it would certainly be great for the imports in the short-term, but the long-term value acquired is less clear. Despite this writer personally hoping Ben Mbala got the very best education he could get, perhaps Ben simply was not meant to be a student-athlete for as long as we needed him to be. Perhaps we leaned upon him too much to raise the level of local basketball that we forgot Mbala is still a force of nature that just needs to be set loose upon the world. The Philippines wishes Ben Mbala well—a warrior that has firmly stood his ground, perhaps for too long.